On Tuesday, April 15, eight seniors competed in the Spellman Oratorical competition. Bobby Gasdia came in first place, winning the $1200 in scholarship prize money. The other contestants placed in the following order from second place to eighth: Jon Soo Hoo, Jackie Carlson, Josh Lutts, Olivia Olsen, Devin Gilmore, Brittni Lambiase, and Jace Williams. The theme this year was The Darker Side of Human Nature: Students were assigned to write about how authors through the ages have had a fascination with the darker side of human nature. They had to explain how writers illustrate man’s innate evil in a variety of literary and artistic pieces and discuss what conclusions they draw about human nature through their explorations. The annual Spellman Oratorical is open to all seniors. After submitting an essay on the specified topic, the top eight are then chosen to compete in the oratorical portion of the contest which is held during the same week as the Rockland Public Schools’ annual Arts Festival. Rockland High school had the privilege of hosting their first ever SEMASC (Southeastern Massachusetts Association of Student Councils) Spring Conference on April 11. Over 600 students from more than thirty different schools attended this conference. While students were filing into the auditorium a short dance was performed by Rockland’s executive board and select members who dressed up as characters from popular games. These costumes included squirrels and characters from Mario. The conference started with opening remarks from RHS Principal Alan Cron, Superintendent of Schools John Retchless, SGC President Jackie Carlson, and SEMASC Chair Katie Delorey. Following opening remarks, students attended workshops where they learned leadership skills and were able to interact with students from different towns. Students then went back into the auditorium to listen to election speeches for Delegates, Vice President, Publicity Coordinator and Secretary for the regional SEMASC board. 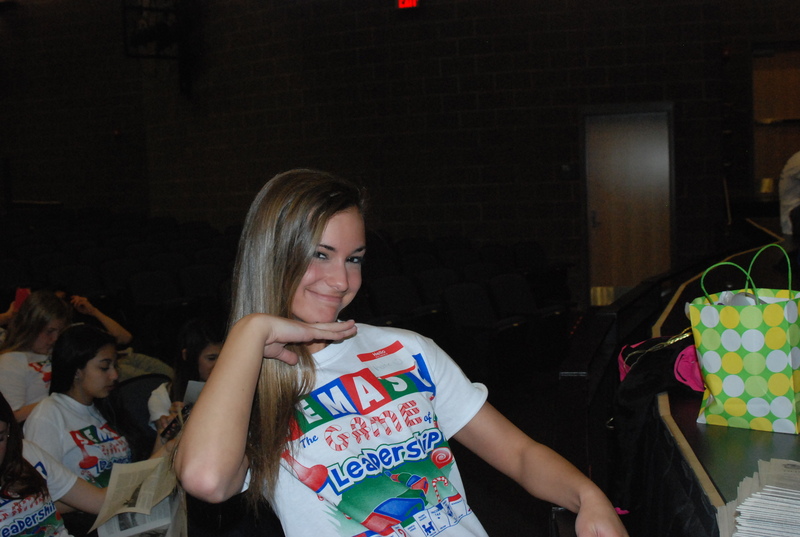 Sophomore Ashley Pezzella, won the spot of one of three delegates for the region. While some students attended a picnic lunch in the gym, others attended a pep rally in which towns were able to show off their best pep rally activities. Rockland High school students taught SEMASC our famous rollercoaster pep rally event. 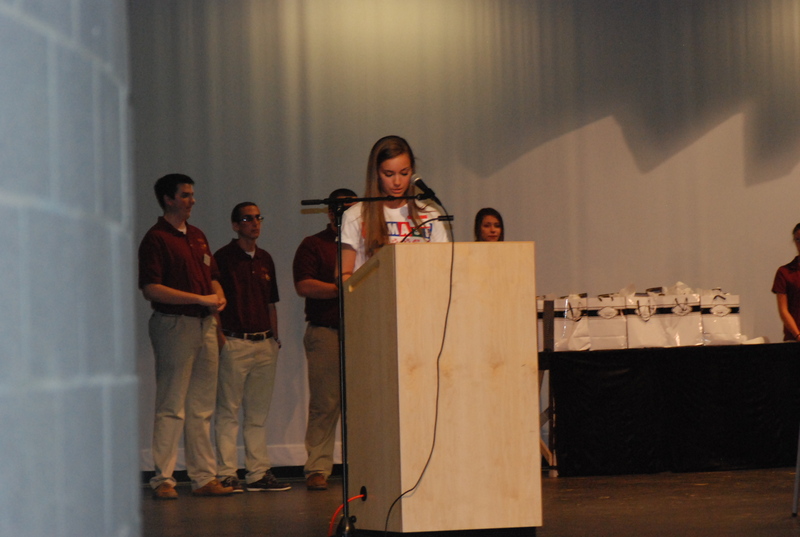 The conference closed with results of the elections, closing remarks from the old SEMASC Executive Board, and awards. Overall, students from attending towns were able to bring back new ideas from this conference. Thirteen juniors were chosen to join RHS’s most prestigious organization, the National Honor Society. 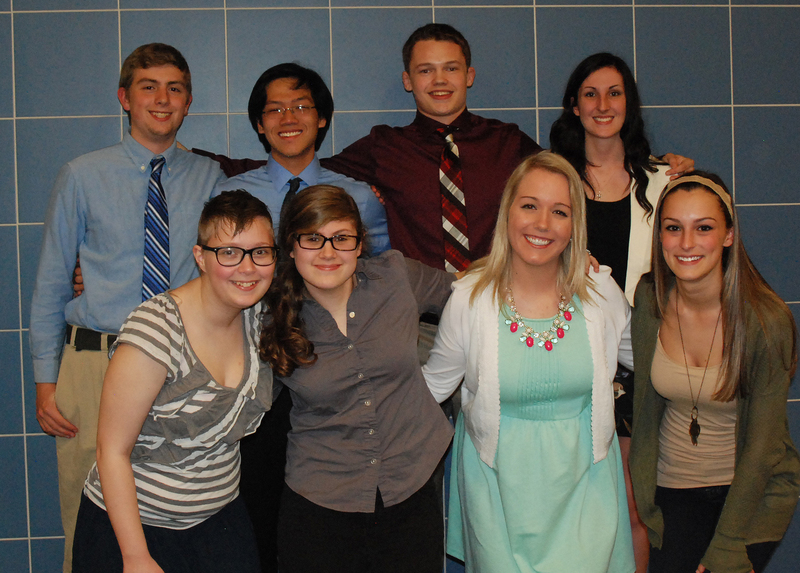 These students will be officially inducted on Wednesday, May 21st in a ceremony held that evening in the auditorium. In Hyannis on March 5th, seventeen Rockland High School students and one faculty member plunged into the freezing cold water in support of the Special Olympics. Five other students and one more teacher cheered them on as they braved the water. As a part of the Massachusetts Association of Student Councils leadership conference, students were able to support Special Olympics by participating in the Polar Plunge. Students supported and participated in this event by raising money, cheering, and/or by simply putting one toe in the water. Some students went above and beyond to support the Special Olympics. Sophomore Caitlin Yannizzi raised more than five hundred dollars. English teacher, Kristen Walsh, freshman Jeffre Donahue, sophomore Lexie Carchedi, juniors Dennis McPeck and Jenna Novio, and senior Molly Garrity fully submerged themselves in the freezing water instead of just going up to their ankles or waists. 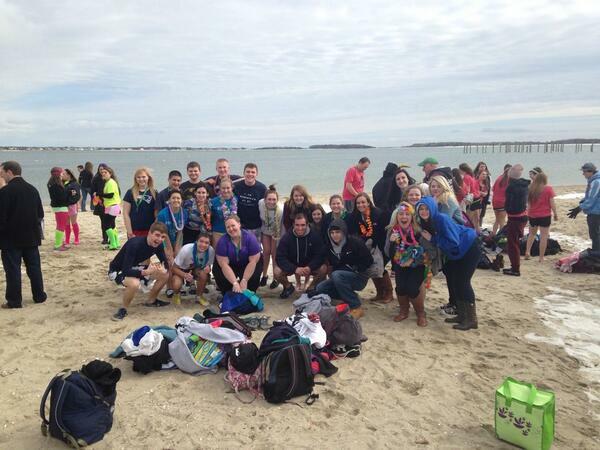 Sophomore Johnny Murray found the Polar Plunge to be fun even though it was cold. His only regret was not going all the way under. Freshman Adam Royle and Donahue were veterans at plunging into the freezing cold water, having plunged previously at Rexhame Beach in Marshfield on New Years Day. However, they enjoyed this one better because they were able to be with a larger group of friends and in a better atmosphere. Aside from plunging, students were able to participate in other events. People from other schools dressed in creative costumes to take part in the costume contest that took place before the plunge. Students were also able to take part in pledging to the “Spread The Word To End The Word” campaign. This is a campaign designed to end the use of the r-word in a negative and inferior manor. By pledging, many RHS students became a part of the inclusion revolution. RHS raised almost one thousand dollars, naming us the third highest fundraisers. In total, all of the schools who participated in the Polar Plunge raised almost ten thousand dollars. March 5th, 6th, and 7th, Student Councils from all across Massachusetts came together in Hyannis, like they do every year, to form the Massachusetts Association of Student Councils, also known as MASC. This three day leadership conference helps selected members of student council bring back ideas that would help their schools and town. Students attended four workshops intended to help them meet new people and bring together ideas from each town and help spread new fundraisers that would benefit other schools. There was also two keynote speakers, John Beede and Billy Cordes. Both men shared their inspirational stories and taught students how to have fun while helping others and reaching your goals. Senior Jackie Carlson says, “My favorite part is bonding with our council.”There was also a banquet to recognize all the outstanding work individuals and councils have done throughout the year. Sophomore Caitlin Yannizzi raised over five hundred dollars for the first ever MASC Polar Plunge to raise money for the special olympics. Those donations made her the third most successful fundraiser out of all students in attendance. At the end of the three days, students left for their own towns to bring back ideas that will help set goals for their student councils and further better their schools. RHS SGC members at MASC in March. Saturday, March 1st, select members of the RHS Theater Guild traveled to Joseph Case High School in Swansea to participate in the Massachusetts Educational Theater Guild (METG) preliminary round. The guild competed against seven other schools from the state with their performance of Almost, Maine. The same play was performed at RHS last spring and was then recast and shortened to approximately thirty-five minutes before being submitted to the METG preliminary round. The play consisted of four scenes that each featured a different resident of Almost, Maine’s experience with falling in love. Although the guild did not move on to the next round, several awards were given to the guild, including a stage manager’s award and three all-star cast awards. Senior Chris Catania received an award for his performance as Jimmy in the play while juniors Markus Rohwetter and Pearse McNally received awards for their ensemble performance as Chad and Randy.